Even if you don't expect your estate's value (including death benefits from insurance policies) to total more than $3,500,000, you may need an estate plan. 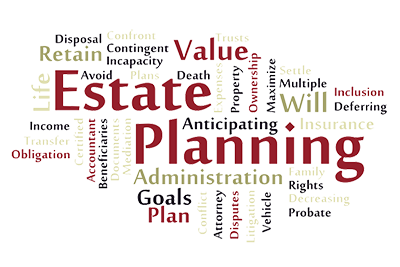 Proper estate planning can use lifetime gifts and trusts to minimize your estate-tax liability. With the help of our Financial Planning Department, your Financial Advisor can complete a comprehensive estate plan, at no cost or obligation, for you to review with your accountant and attorney.